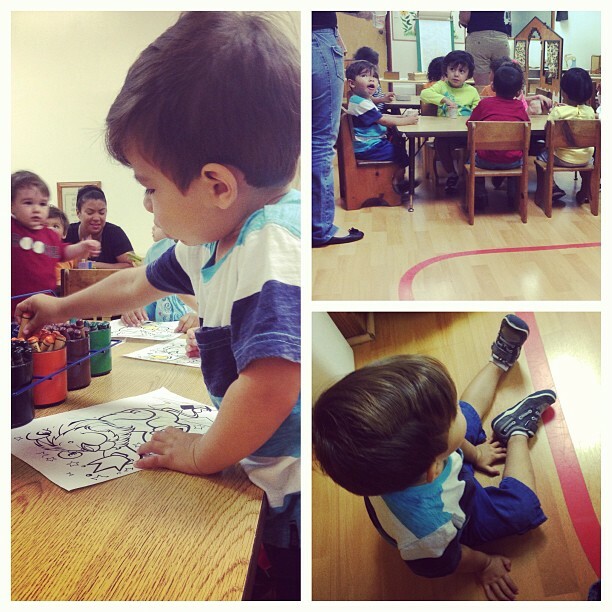 Liam started going to the summer program at a local Montessori school today. I stayed and watched for about half an hour and then left so he could focus on having fun and getting used to the environment without me. He seemed to be doing well, but cried when I left. It's normal. I'm sure it will take some time before he stops crying. My grandma was watching Isabel so I took advantage of the free morning by going to a local Colombian place and having a cortadito. Yummm. Then I just sat in the car and listened to music. It. Was. Fantastic. I went to pick him up and he cried again but his teacher told me he was fine all day and had fun. I'm proud of my boy! We also found out last week that he was accepted into our church's school (their K2 classroom) for the Fall. I can't wait for him to start! I kind of wish we could keep him at the Montessori school, but I have only heard amazing things about CFA and I'm happy that he will have the opportunity to go there. Thanks to all who have prayed for Liam and sent him well wishes. My little man is growing up and it's a blessing to see.